• Offers: GM is offering reinstatement to dozens more dealers than originally announced. • Conditions: Welcome-back terms often say dealers must hit sales targets or update stores. • Cash: Some settlement offers have reached $1 million, triple GM's original wind-down payments. • Arbitration: The number of GM dealers still in arbitration has dropped from 1,160 to 383. General Motors Co. has a new strategy in dealer relations, led by its CEO and North America boss: Clean up the mess left by the old GM. GM is adopting a more flexible approach to its dealer footprint, welcoming back dozens of rejected dealers in the past two months and extending settlement offers of as much as $1 million. GM had said in March that it was offering reinstatement to 661 of the 1,160 dealerships whose owners sought arbitration over GM's decision to wind down franchises at their stores. GM later raised the number to 666. Now the reinstatement figure is significantly higher. Lawyers say they have several dozen clients who weren't on GM's original reinstatement list but have since received letters of intent to bring them back, often with the provision that they meet performance standards. When the dust settles, GM's surviving dealerships likely will number more than 4,500, compared with the 3,600 the automaker said it wanted last year when it was in bankruptcy. "GM continues to backtrack on their business plan," said Rob Byerts, a Tallahassee, Fla., lawyer whose firm originally represented about 50 rejected GM dealerships. 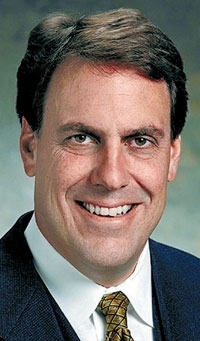 The change in course is part of efforts by CEO Ed Whitacre and North America President Mark Reuss to personalize GM's relations with rejected dealers. Instead of leaning on the formal arbitration process, Reuss has become the point person for resolving disputes with rejected dealers in one-on-one settlements. "Everyone's different," Reuss told Automotive News last week. "I have seen it all, and that's OK. It's part of making the company what it needs to be." The new letters of intent often oblige dealers to hit sales targets, remodel buildings or remove competing brands from their showrooms, dealers and lawyers say. For instance, the reinstatement offer that Chevrolet dealer Kit Tennyson says he accepted last week requires his suburban Detroit store to meet GM's sales goals by the end of 2011 and to be remodeled once sales are on track. He declined to give details on the sales guidelines but said they were reasonable and consistent with the 880 new vehicles he sold in 2008. Offering to restore dealers such as Tennyson is a shift for a company that once insisted it needed to use Bankruptcy Court to eliminate 1,350 dealerships by Oct. 31 to cut costs. "The business plan that was used as justification for wind-downs in bankruptcy has no vitality whatsoever," said Mike Charapp, a McLean, Va., lawyer who originally represented about 20 rejected GM dealerships. "It's clearly been swept aside." Pre-bankruptcy GM had 6,150 stores that it planned to pare down to 3,600 before this November through a combination of cuts, attrition and the elimination of four brands. The number of dealers who have accepted GM's reinstatement offers is in the "high 500s" and rising, Reuss said. More than 380 dealerships are still pursuing arbitration, often because GM hasn't had time for all of its one-on-one meetings, he said. "We're working that down," Reuss said. As head of GM's settlement process, he said he often hears variations of several core dealer story lines. There's the dealer who's willing to work to earn GM's favor: "I want to be a good dealer. Here's what I'm going to do. Help me do it," Reuss said. Then, "we've gotten the ones that play games with me, quite frankly," Reuss said. "So I play the game a little bit there, too." He knows that's in order when a dealer says he has his sights on being the best Chevrolet dealer in the United States but refuses to agree to GM's performance criteria. Some dealers ask for more aid during wind-downs, Reuss said. Lawyers say GM's recent settlement offers often have ranged from $500,000 to $1 million, or as much as three times GM's wind-down payment to a rejected dealership. When Illinois dealer Rusty Wagner heard GM was open to settlement talks, he called his regional office in hopes that GM would reinstate him after a heart-to-heart talk. But he was worried the automaker would make a conditional offer. Instead, Wagner didn't even have to present his case at his recent face-to-face meeting with a GM rep in his town of Belleville, Ill. He said the regional office delegate seemed to have read his arbitration filing ahead of time and simply offered to reinstate his Buick-GMC store near St. Louis. Compared with the year of turmoil after GM said it would pull his franchises, Wagner said, "It was like coming home."